New York, NY—October 23, 2017—THOR #700 raised the Mighty Asgardian to a new level of storytelling in an epic tale from writer Jason Aaron and a host of incredible artists such as Russell Dauterman, Walter Simonson, James Harren, Becky Cloonan, Das Pastoras, Chris Burnham, Andrew MacLean, Jill Thompson, Mike del Mundo, Olivier Coipel, Daniel Acuna, and Matthew Wilson. And in the spirit of Marvel Legacy, this is just the beginning of a story that will affect not just Thor, but the Marvel Universe at large. 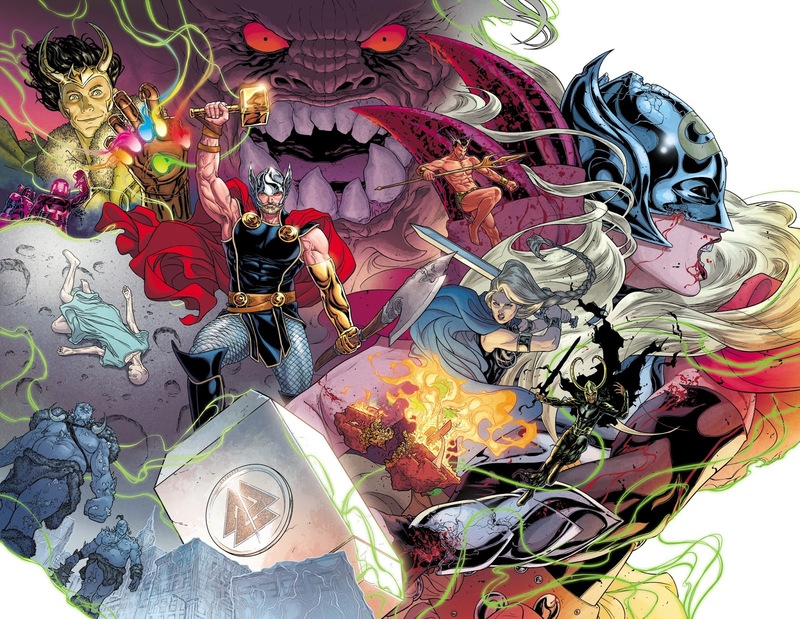 The perfect jumping-on point for all fans, THOR #700 is in comic shops now. Don’t miss your chance to get in on the action! And look for THOR #701 – which Moss calls “an issue-length brawl to end all brawls” – coming to comic shops in November!